Winter Festival raised $45,738 with your generous support! Thanks to all our Sponsors and Participants! 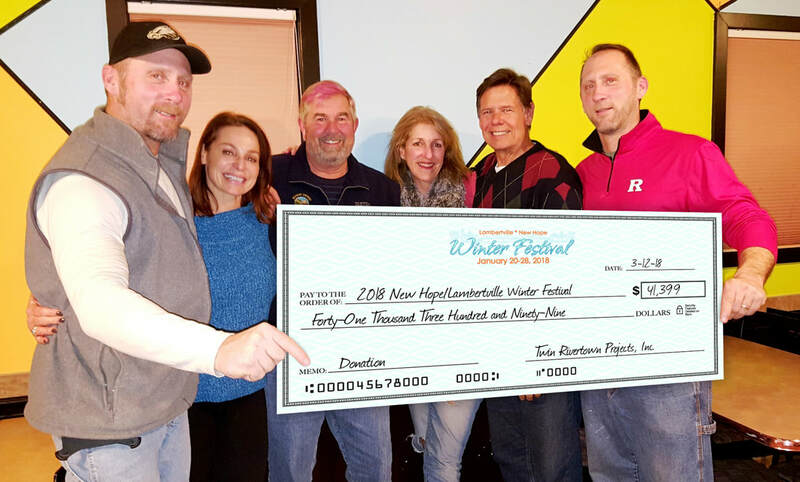 Our 22nd year has set a new record and enabled the Lambertville-New Hope Winter Festival to raise an amazing $45,738 that is being distributed amongst our local community non-profit organizations. This has been our best year ever! And this year’s event brings our total amount distributed during the past 22 years to $511,569 – all for the benefit of our local community organizations! On behalf of everyone on our Winter Festival Team, we want to thank you, the entire community and all of our many sponsors, volunteers and attendees for such tremendous support! Your generosity and donations of time, goods and services is greatly appreciated. We had many great events this year, like our spectacular Concert at the New Hope Winery, our fabulous Chili Cook-Off at Triumph Brewing, A Cappella Extravaganza, Jersey Shore at Karla’s Restaurant, Fire and Ice Ball, Taste of Winter Fest at the Inn at Lambertville Station, and both the Revolutionary and Musical Pub Crawls just to name a few. Fisherman’s Mark Food Pantry, Solebury Township Parks and Recreation, Lambertville Recreation Commission, New Hope Park and Recreation, Bucks County Audubon Society, Central Bucks EMS, New Hope Eagle Fire Company, Friends of the Delaware Canal, Delaware River Towns Chamber of Commerce, Lambertville Historical Society, Lambertville Fire Department, Lambertville Police Department, Lambertville-New Hope Ambulance & Rescue Squad, Music Mountain Theatre, New Hope Celebrates, New Hope Historical Society, New Hope Chamber of Commerce, New Hope Police Department, Lambertville-New Hope Rotary, New Hope-Solebury School District Scholarship Fund, Solebury Police Department, Sister Cities Tours, South Hunterdon School District Scholarship Fund, and The Free Library of New Hope and Solebury. Our towns were filled with people and the excitement was everywhere. Be sure to check our website at www.winterfestival.net throughout the year for updated information and photos. Have a great year and we will see you next January 18-26 at Winter Festival 2020. Glen Stephan, President / Twin Rivertown Projects Inc.
Twin Rivertown Projects, Inc is our non-project organization and was recently one of several recipients awarded a grant for the upcoming 2019 Winter Festival week from Visit Bucks County. Visit Bucks County is the official tourism promotion agency for Bucks County. The agency distributed $300,000 to 32 Bucks County nonprofits during an event Wednesday. Each year Twin Rivertown Projects selects community organizations as recipients of our proceeds and distributed back to the community. 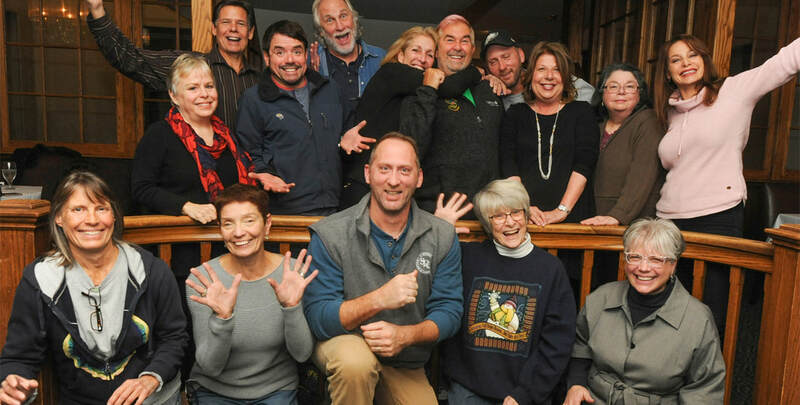 The Winter Festival 2019 Committee worked together to make the 22nd Lambertville New Hope Winter Festival a huge success! 2018 Fund raising - $41,399!! Help us give more back to the community. Become a Winter Festival Sponsor!